Do you dread meeting other dogs when your pet is on a leash? Or does your dog over-react to other triggers, such as cats, people or wildlife? 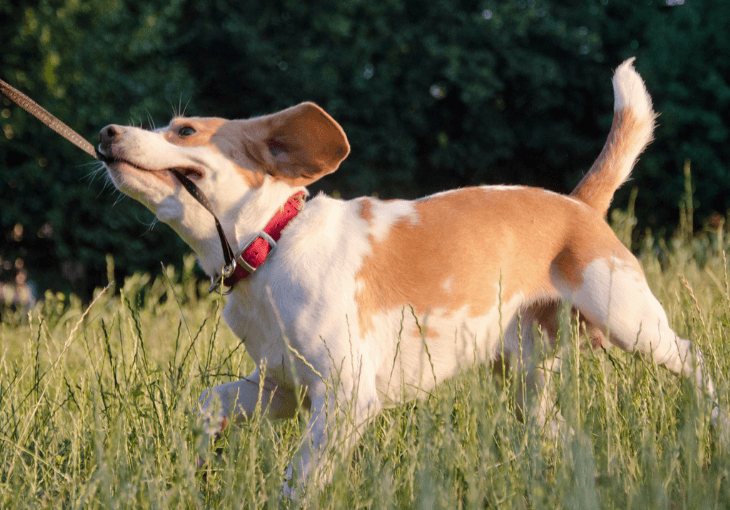 If so, your pet may be showing signs of what dog trainers call “leash reactivity.” Symptoms include lunging, pulling on the leash, snapping, growling and barking - along with a hyper-focus on the target. Aside from being embarrassing, leash reactivity can be dangerous. Dogs in this mental state are not in control, so they often pull directly towards the target. If this is across a road or towards a similarly reactive dog, it could put both you and your pet at risk. Even if your dog isn’t strong enough to put you at physical danger, reactivity can still ruin walks and cause stress. Here are eight tips to manage the problem without resorting to walking at 5:00 am! Leash reactivity is a difficult problem to solve. There isn’t a “magic” trick that turns a reactive dog into a placid one when on a leash, so be prepared to spend time and effort on training. The key is to provide and reinforce an alternative behavior. Over time, this behavior replaces the hyper-reactivity (more on this in a moment). Re-training requires patience and persistence though. You need to practice the tips in this article whenever you’re on a walk, otherwise your pet will take longer to understand. If other people walk your dog, they need to follow the same rules. Leash reactivity can be embarrassing - especially around neighbors or people you know. Many people also think a reactive dog is “bad” or aggressive, so there’s a natural tendency to scold or even punish a pet. We need to change our attitude towards a dog’s behavior though. If your pet is reacting to a dog or person, he is anxious and over-stimulated. Punishing or shouting isn’t going to help - in fact, it’s going to make things worse, by adding more stimulation and creating a negative association. It’s also worth noting that leash reactivity isn’t necessarily aggressive. A leash reactive dog may pull to get to something he’s excited about - or even because he’s scared. 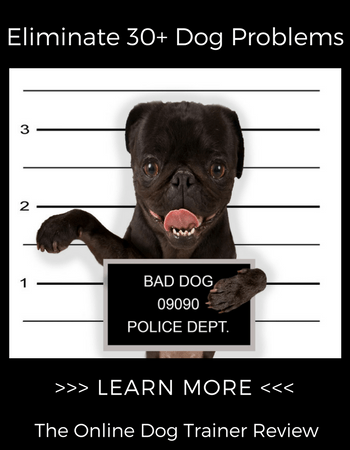 Try to avoid thinking your dog is “bad” for being reactive, as a calm attitude makes training easier. It’s best to avoid situations that cause leash reactivity during the training process. It’s impossible to avoid every trigger, but we want to reduce how often the behavior is reinforced. You should also avoid situations where your dog is forced into close proximity with a trigger. If your pet reacts to dogs, for example, then narrow woodland paths may not be a good idea - at least during training. And if your dog is reactive to children, it’s probably best to avoid walking during school drop-off and pick-up times. While replacing reactivity with a positive behavior is vital, it’s also important that your pet is safe. Pulling on a leash attached to the collar can cause serious damage to the trachea. This is more common in smaller dogs with weaker necks, but any dog can be hurt by a collar. For this reason, use a no-pull or front attachment harness. These harnesses spread the pressure across the shoulders and chest, which is much safer. They can also provide a mild pulling deterrent without causing pain. TheDogClinic.com has a useful list of the best no-pull harnesses here. The first step to re-training is to praise and reward your dog for giving eye contact when on a leash. To start with, you should reward him whenever he looks at you - even when there aren’t any triggers around. If you’re using treats as a reward, make sure they are high value. And if your pet isn’t food-focused, a quick game with a favorite toy or just excited praise can be an alternative. You should also reinforce other positive behaviors. Sniffing or calm body language, for example, should be praised - especially when a trigger is in sight. Once your pet understands eye contact is a desirable behavior, the next step is to reward him for doing this near triggers. The goal is that your dog looks at you every time he sees another dog or other trigger, as this breaks the reactivity mental loop. Don’t expect your pet to get this straight away - especially when the trigger is close. Instead, practice when triggers (such as other dogs or a cat) are visible but too far for your dog to strongly react. A natural reaction to spotting one of your dog’s triggers is to become tense or anxious. The problem is that dogs can sense this, which makes them more likely to lunge or pull. Instead, try to create a positive association with the trigger. As soon as your pet notices the other dog, praise him and give treats for good behavior. The key is to do this after your pet sees the trigger, but before he starts to react. This isn’t always easy. In fact, it could be impossible if the trigger is close or your dog is highly reactive. As you train the “Check-In” method, the window of opportunity will become longer though. There’s a difference between rewarding positive behavior - such as eye contact - and using treats as a distraction when a dog is already reacting. If your dog is in an over-reactive state, treats are not a good idea. Most dogs will ignore them anyway, but if he takes them you’re just rewarding the wrong behavior. Instead, walk the other way if your dog is already upset. The only thing that’s likely to help in the moment is to get some distance. Once your dog has fully calmed, which can take anything from a few minutes to the rest of the walk, you can restart training. Leash reactivity can make walking your dog a chore. If you’re constantly worrying about meeting a dog, cat, person or any of your dog’s other triggers, it’s hard to relax. Reactivity isn’t “bad” behavior though - it’s just a symptom of your dog feeling scared, anxious and over-aroused. This is why punishment or scolding can often make things worse. Instead, use positive reinforcement to gradually introduce an alternative behavior. This takes time and patience - but the results are worth it.